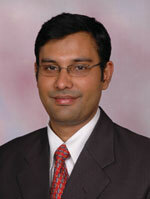 Pradeep K. Mehta is Group Leader, Rural Research Centre, S M Sehgal Foundation, Gurgaon, India. He holds a PhD in Economics from Mysore University through the Institute for Social and Economic Change (ISEC), Bangalore; an MPhil in Planning and Development from Indian Institute of Technology (IIT), Bombay; and M.A. and B.A. degrees in Economics (honours) from Punjab University, Chandigarh. A development specialist, he has over eight years of experience in teaching and research. His areas of expertise are rural development, agriculture, climate change gender, water and impact evaluation.